DIY Website Colour Scheme and Typography Customizations. You might not need an expert to customize your theme. You could find a StudioPress theme that’s close to what you need, then make the final tweaks yourself. Font family, size, weight and colours. The main content area styling. Read More link, Bread Crumbs, Pagination, Author box, and Author Bio. The Comments section, if you’ve enabled comments. General styling for the Sidebar Widgets. General styling for the Footer Widgets (if your theme has them). Genesis Design Palette Pro currently works with a small selection of StudioPress themes, including… Metro Pro, Minimum Pro, Eleven40 Pro, Executive Pro, Beautiful Pro, Lifestyle Pro, Daily Dish Pro, Modern Portfolio Pro, News Pro and Outreach Pro. Many StudioPress themes have several basic colour schemes built in. But if you want any real control over how your theme looks you need to edit the code or use a plugin. The code for each theme is slightly different which means even minor tweaks can take time and cost money. If you need a specific colour scheme to match your existing company colours I recommend you buy the Design Pallet Pro plugin and a compatible theme. 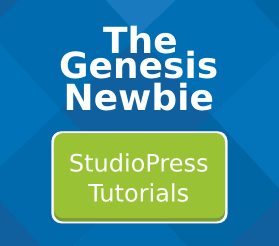 Although Genesis Design Palette Pro only works with a small selection of StudioPress themes it does offer a sensibly priced way to customize a theme to match your existing colour scheme. If you want to make fancy page layouts you need a more powerful plugin, The Genesis Extender. If you want to design your own Genesis child themes I use and highly recommend Dynamik Website Builder.